Whether youre interested in general dental work, teeth whitening or a complete smile restoration; Healthy Smile Forum is dedicated to providing you with all the resources youll need to move one step closer to a brighter and more beautiful smile! 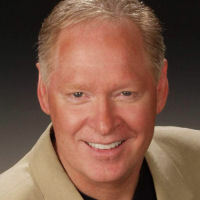 With nearly 30 years of experience, Dr. Dustin Nelson, DDS offers his patients the ultimate experience in personal attention and highly advanced dental techniques. His list of services includes porcelain veneers, dental implants, crown and bridges, and more. As the premiere dentist in Pasadena, CA, Dr. Nelson also draws patients from the Los Angeles, Beverly Hills, and Hollywood areas. During your complimentary consultation with this reknown dental specialist, you'll immediately appreciate the relaxed, spa-like setting of this Pasadena dental facility. You'll receive answers to your toughest questions and work together with the dentist and his staff in creating a realistic dental treatment program. Dr. Nelson's caring and helpful office staff will take you through the scheduling and payment process from start to finish. Contact us today to learn more about cosmetic dentistry in Pasadena, CA, and to arrange your complimentary consultation with Dr. Nelson! Learn more about this Pasadena Cosmetic Dentist.